You can always get better abs. Thing is … traditional ab training …crunches, leg raises, sit ups, etc. … not only is it ineffective … it’s boring. 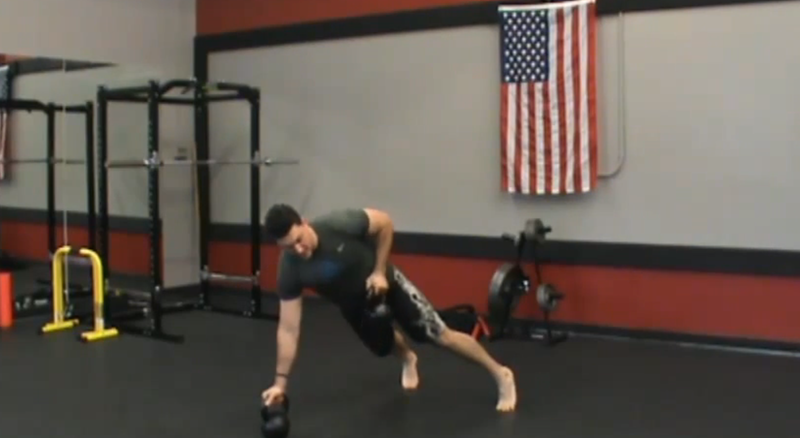 Today I’m going to show you a unique kettlebell exercise for abs. Now when most people think of training abs they think of doing crunches or sit ups or leg raises. These exercises are okay but really the way that your abs and your whole core (which includes your glutes, your midsection, your lower back and those muscles in the middle of your back) functions is as a stabilizer. Say for example, if I’m doing a kettlebell swing or I’m doing a goblet squat, my abs are tightening up to stabilize my trunk during functional movements. 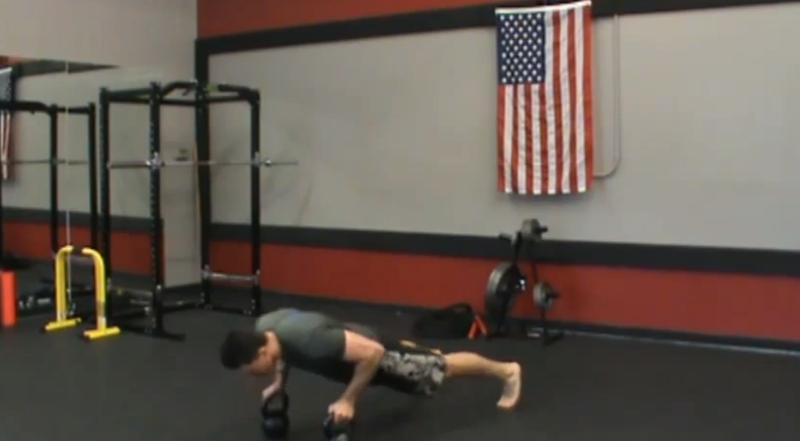 So here is an exercise called the renegade row. This is a unique exercise, you may have see it before, but it is a great total body ab movement. Grab two kettlebells. The basic version has you practising shifting your weight back and forth. Shift your full weight to one side while keeping your abs tightened like you are doing a push up. Then you can go ahead and add a row to it. If you want to make it more difficult, you can add a push up and a row at the top. As you can see my abs are bracing really hard to stabilize as I shift my weight and do a row on one side. This is a total body exercise with a strong emphasis on the abs. There’s the kettlebell renegade row – a great exercise for abs!